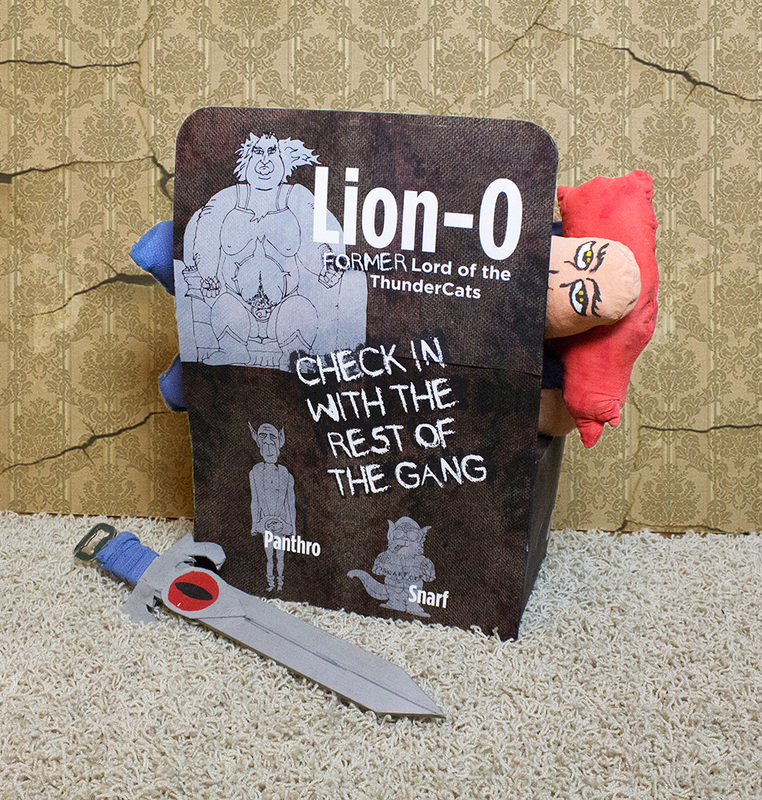 Lion-O, the once fearless leader of the ThunderCats, has lost his lion-like physique. 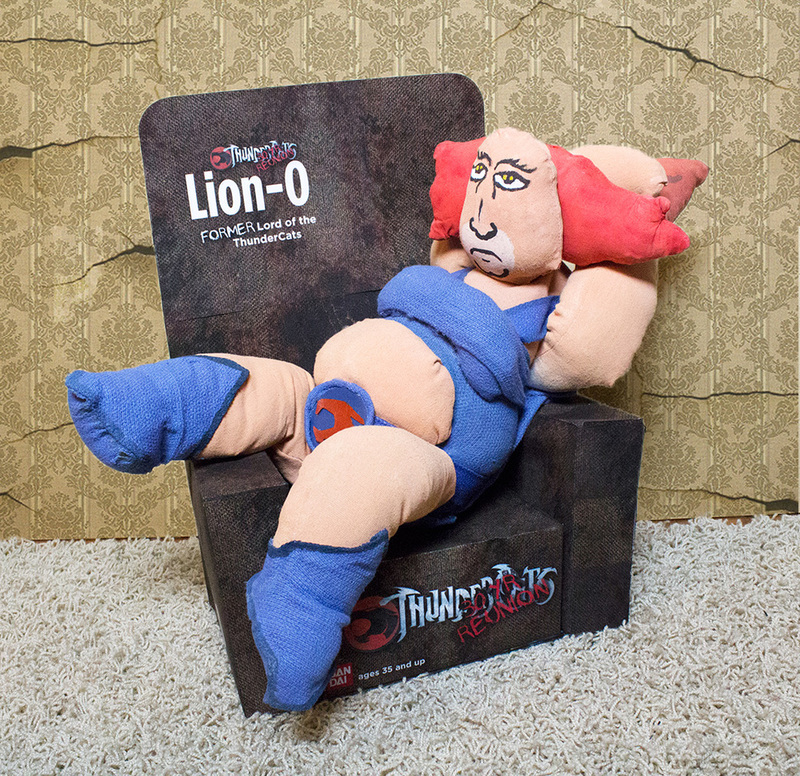 Now in his free time he enjoys eating, drinking, and watching reruns of the ThunderCats. After shooting the reunion, we soon found out that the characters of the ThunderCats were very unlike their characters on the show. Panthero, the muscle of the group, is now Vegan and has bouts with Anorexia. The biggest surprise was Snarfs progression through the years. Unlike the pathetic comedic escape from the show, he turned out to be the most ruthless of the cast. We didn't get much from him except we know that he's on parole for multiple charges and does not like to talk about his "ThunderCats" past. He did however like the check he received for his royalties from being on the back of this box.